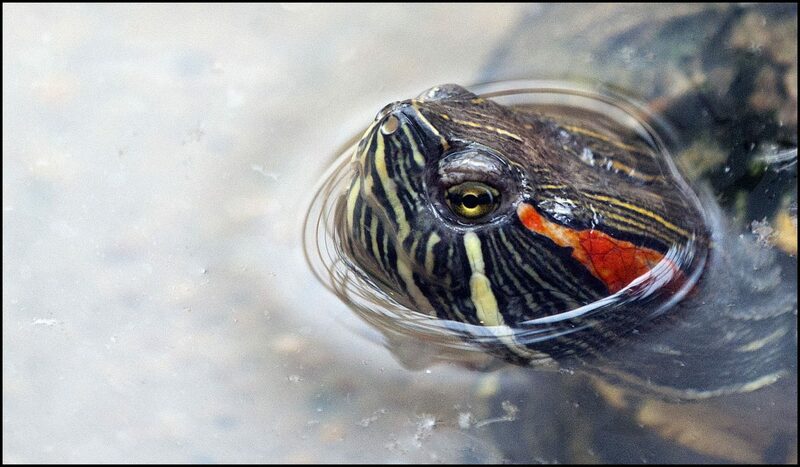 The red-eared terrapin or red-eared slider gets its name from the patch of red skin around their ears. 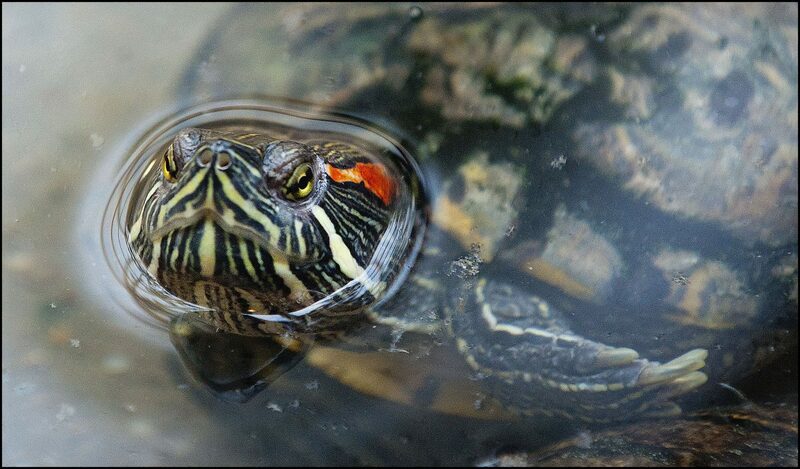 They are also known as red-eared sliders because of their habit of sliding off a rock or a log in to the water. 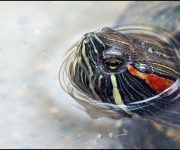 Primarily active during the day the red-eared terrapin is a semi aquatic turtle. 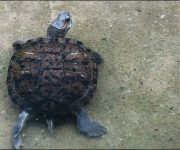 It spends much of its time in water but often hauls itself out of the water on to a rock or log to sunbathe. They are gregarious animals and are often seen sunbathing in large groups. Reptiles do not hibernate but actually brumate, becoming less active but occasionally rising for food or water. 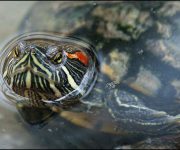 Red-eared sliders brumate over the winter at the bottom of ponds or shallow lakes and they become inactive, generally, in October, when temperatures fall below 10°C. 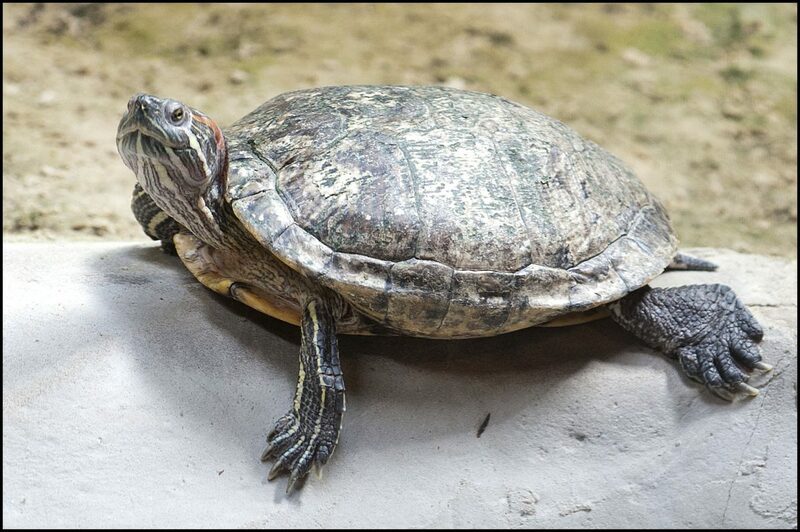 Red-eared terrapins are highly carnivorous when they are small eating invertebrates such as aquatic snails, insects and crustaceans and fish and tadpoles. 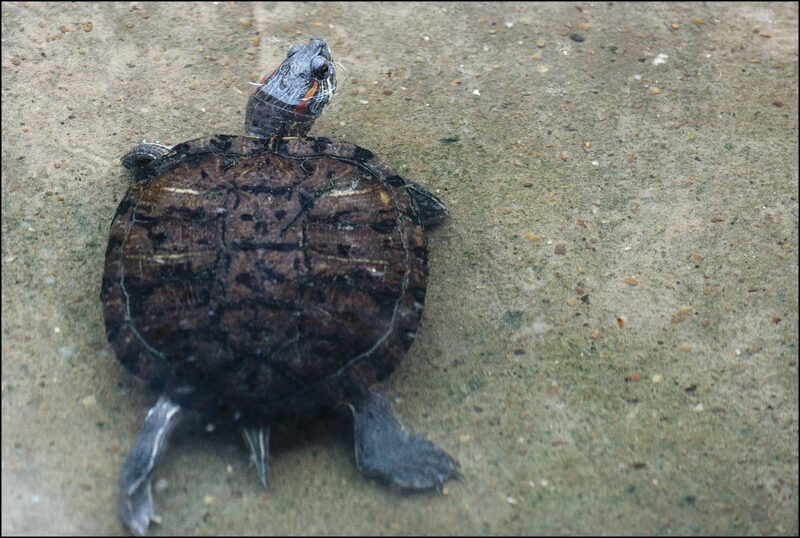 As they grow older the adult terrapins begin to eat plant material. 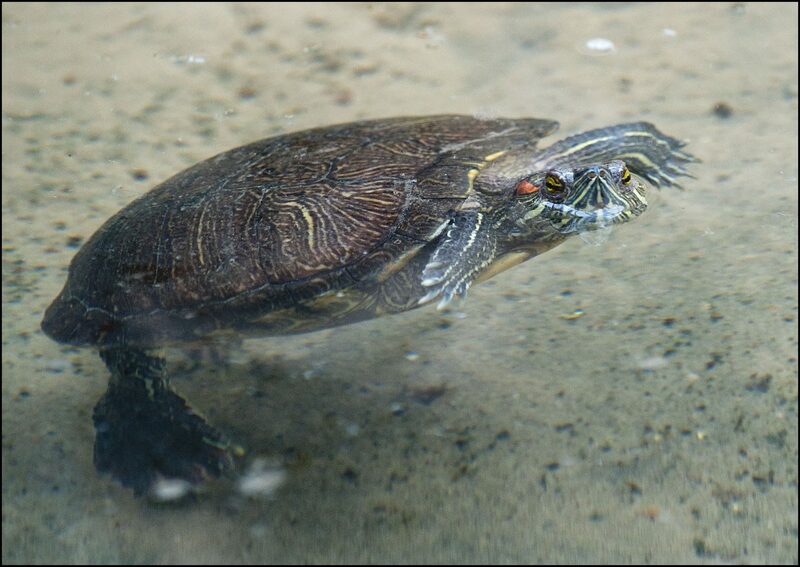 The male red-eared terrapin can be recognised by his extremely long front claws which he uses to court the female. He swims in front of her and waves then at her and then uses them to tickle her chin. The female may lay two clutches of eggs a year and each one will contain 10-22 eggs which are laid in a hole excavated by the female. The nest is the left filled in and left for about three months when the young hatch. The newly hatch young receive no parental care. 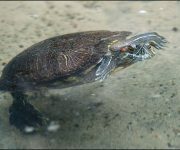 It is thought that most ponds in the UK now have a resident terrapin; unwanted pets which have grown too large and been released. 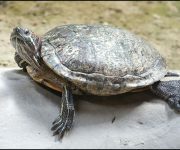 They pose a great threat to native wildlife as they eat amphibians and their tadpoles, birds eggs, fish fry and dragonfly larvae.